WorldCat is an online library catalog that lets you look up books, dissertations, microform, journals and multimedia items in libraries around the world. When you know the title of the book you want, but you don't know which libraries have it. You want to know what books and other information sources exist on your topic, not just the ones that are available in one library. WorldCat has a Basic Search on the front page, which is very straightforward. 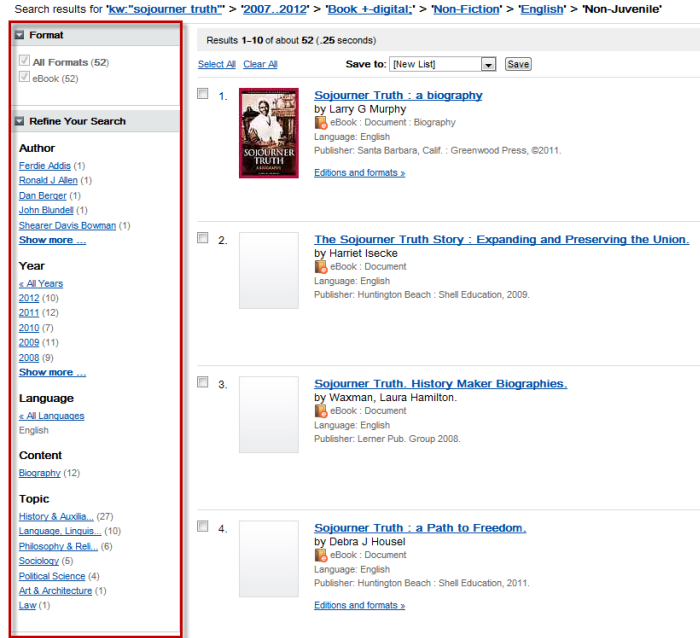 Just click the tab for the type of item you want, and then enter the title, author or keywords you are looking for. Click on the title of an item that you are interested in, and that takes you to more information about that item. 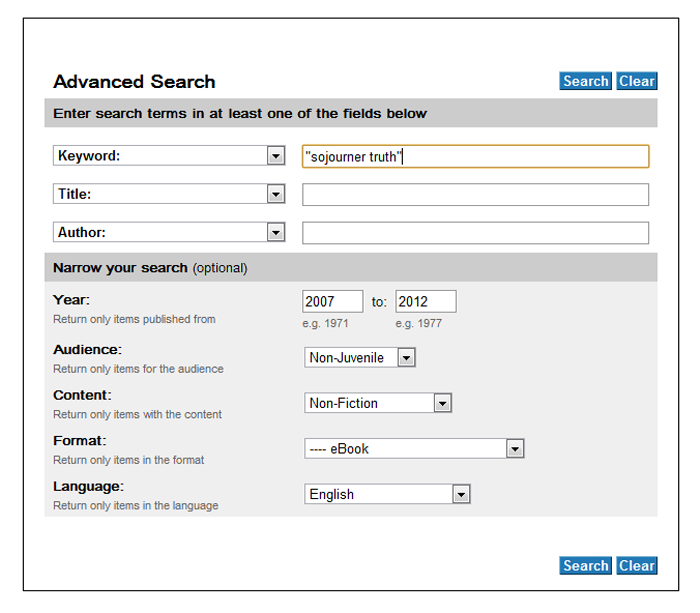 Citation information: title, author, publisher, publication location and date, etc. Below that is information about where you can obtain a copy of the item. If it is an electronic resource, there will be a section listing online services that provide it, either for free or for a fee. Below that, whether it is an electronic or print resource, there will be a section listing libraries that have it. There is a place to put in your zipcode so that the libraries nearest you will be at the top of the list. Remember that if you bring your Empire State College photo ID to any SUNY or NY state community college library, they will let you take out books. For more information about that, see our page on the SUNY Open Access Policy. Also most academic libraries will let members of the community use their resources inside the building.